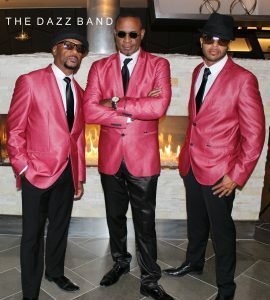 The Dazz Band was the first R & B Group to win a Grammy out of Cleveland, Ohio for Best Performance by a Group or Duo with their smash hit “Let It Whip”. Cleveland’s Mayor George Voinovich designated December 31st 1982 as “Bobby Harris and The Dazz Band Day” as the band escalated to fame on the Motown label, forever making their mark on music history. 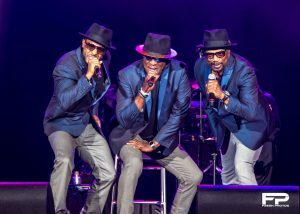 While most known for “Let it Whip”, the Dazz Band scored 20 Hits on the Top 100 R & B and Pop Charts from 1980-1998, produced by both Reggie Andrews and Bobby Harris. 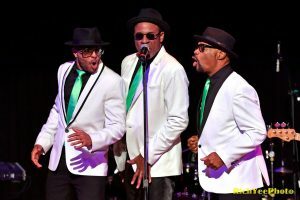 The Dazz Band often performed on popular shows of the 80’s and 90’s including Soul Train, Solid Gold & American Bandstand. Skip Martin, lead vocalist and trumpet player has been performing with The Dazz Band for combined total of over 25 years. Along with Harris, Skip Martin also achieved a Grammy Award for his performances with Dazz Band. Skip Martin is a MOBO Award recipient who achieved an honorary Doctorate in Music for his high level talents both vocally and through instrumentation. Skip’s outstanding performance skills, powerful tenor voice and masterful trumpet skills make him a musical force to be reckoned with.